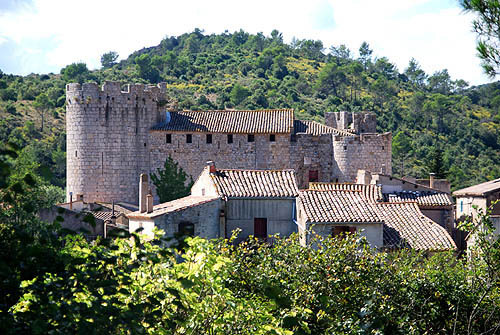 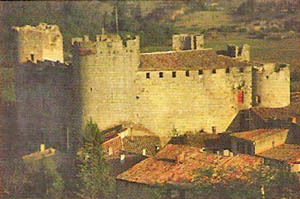 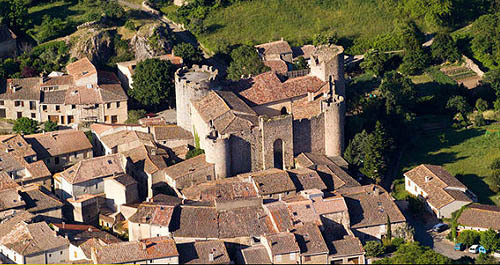 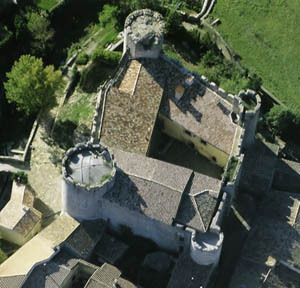 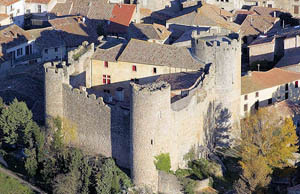 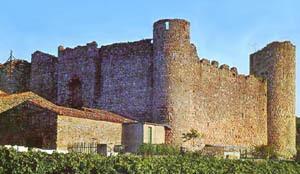 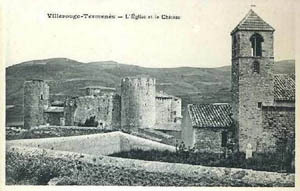 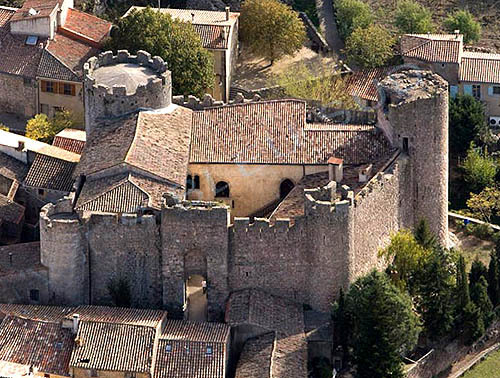 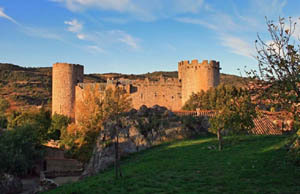 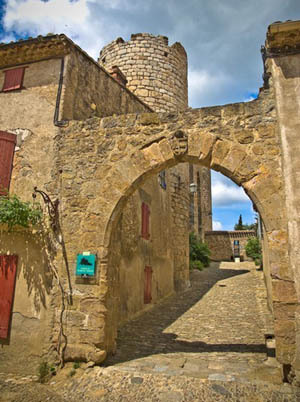 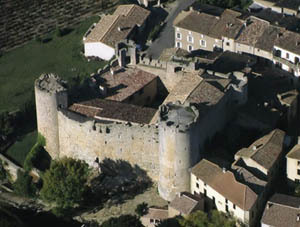 Le château de Villerouge-Termenès is a medieval château situated in the Corbières in the département de l'Aude in the Languedoc-Roussillon. 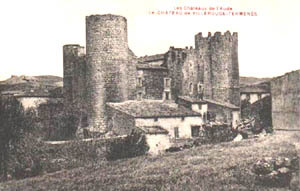 It was here that the last known Cathar parfait, Guilhem Belibaste, was burnt alive in 1321 on the orders of the archbishop. 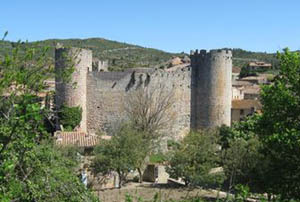 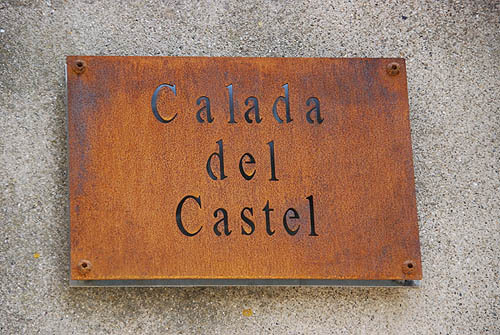 The castle is open to the public and medieval feasts are held here in the summer. 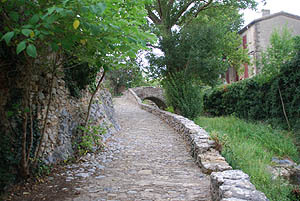 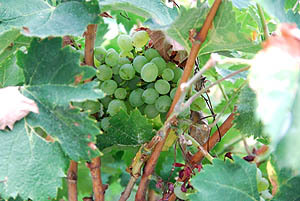 The village is a Commune in the Corbières located at the foot of Mont Tauch (within the terroir Corbières (AOC)) in the département de l'Aude in the Languedoc-Roussillon. 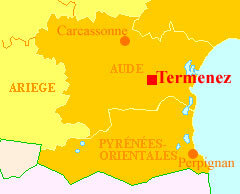 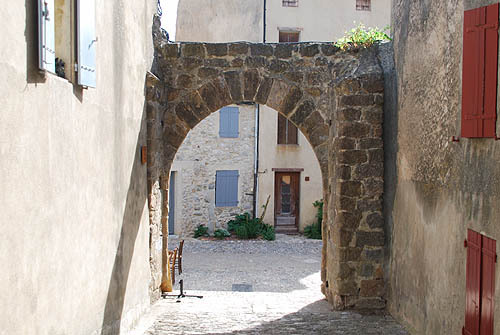 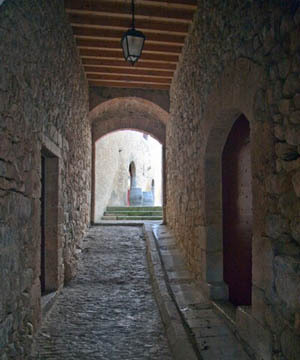 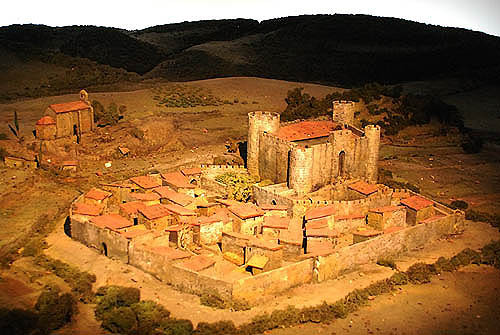 In Occitan the name of the village is is Vilaroja de Termenés (the red village of Termenes). 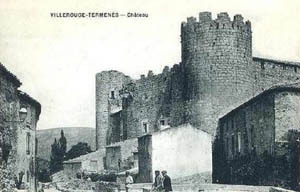 In French the village was called Villerouge until 16 mai 1962 when it became Villerouge-Termenès - The Termenès being the area around Termes. 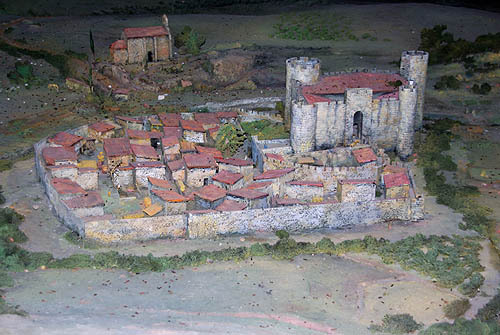 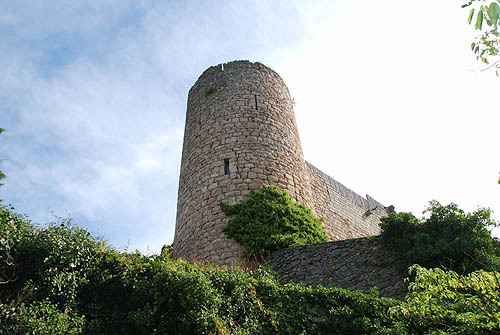 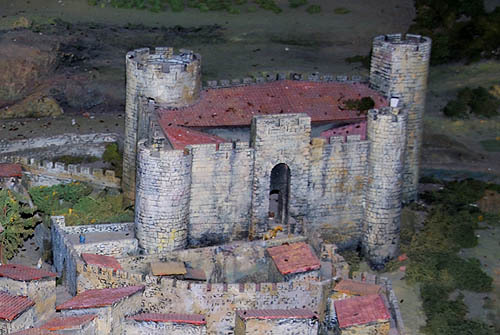 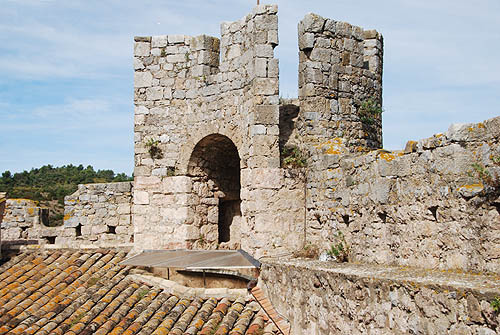 From 1110 until the Révolution, the château and village belonged to the Archbishops of Narbonne, except for the period when the crusaders seized it. 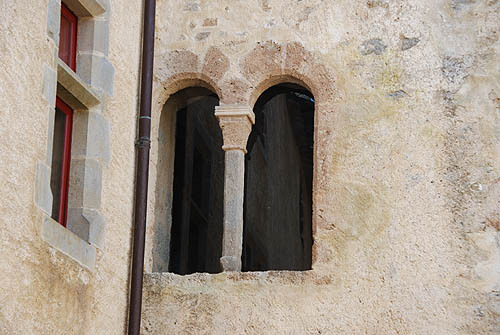 It was the seat of one of the 11 baylies of the archbishopric. 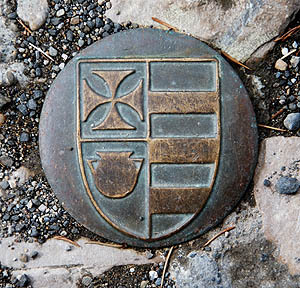 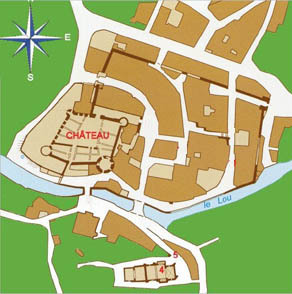 It was here that the last known Cathar paraffin, Guilhem Belibaste, was burnt alive in 1321 on the orders of the archbishop. 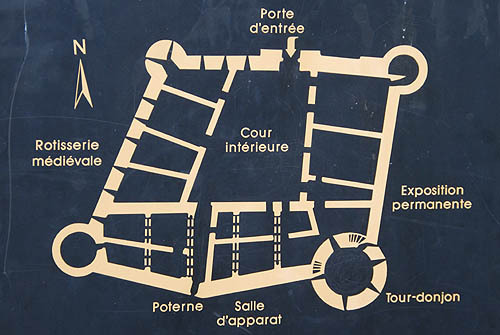 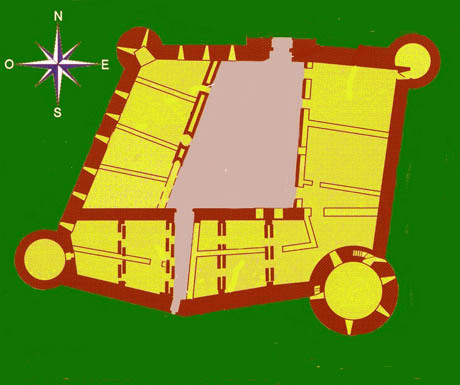 The castle is an irregular pentagon in plan, with round towers at four corners and a postern gate at the fifth. 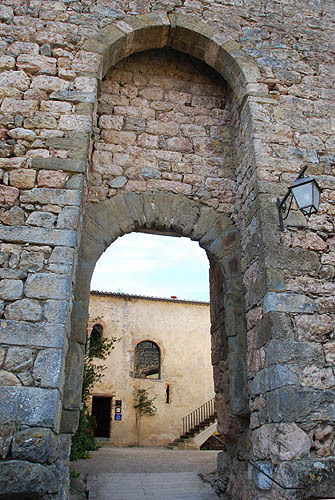 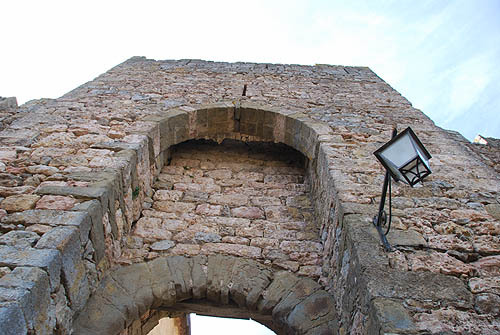 The entrance to the castle of Villerouge Termenez with a murder hole. 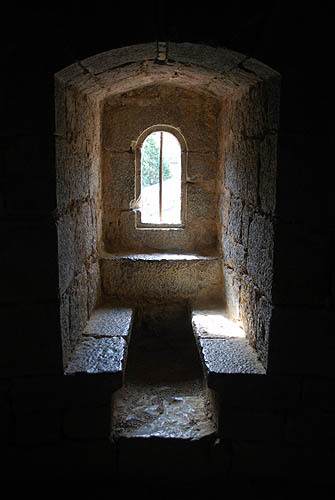 was still tall enough for a mounted knight. 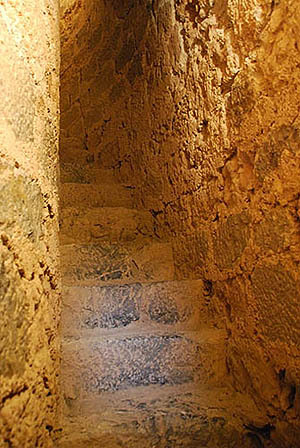 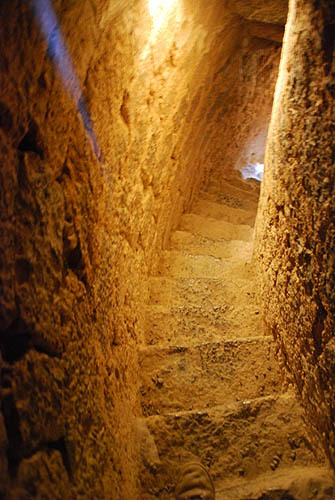 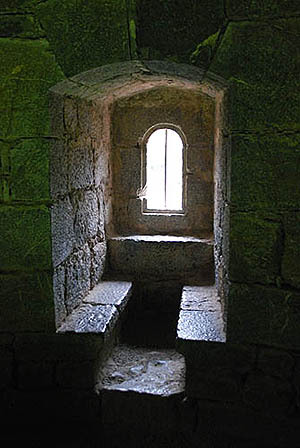 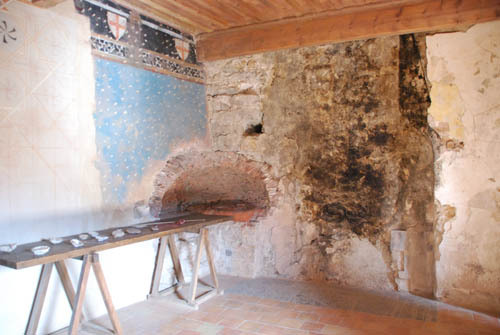 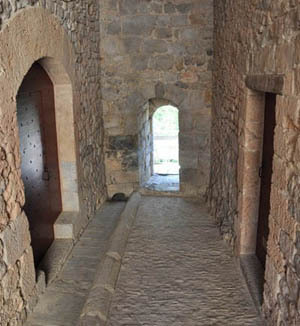 The interior of the postern gate at the castle of Villerouge Termenez. 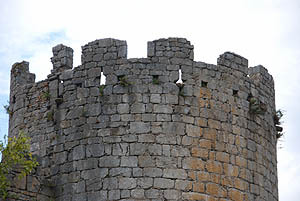 and could be used for mounting sorties against attackers. 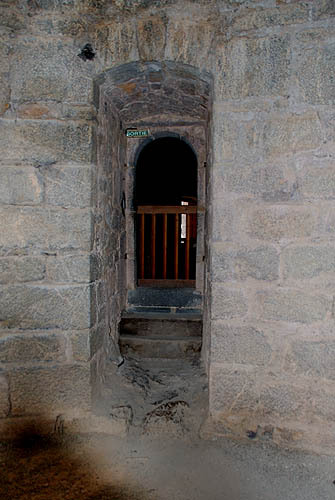 from which defenders could shoot at or drop hot materials on attackers at the gate. 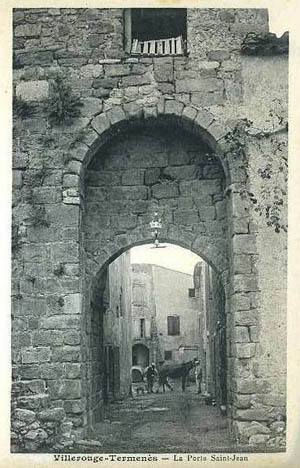 The style is early. 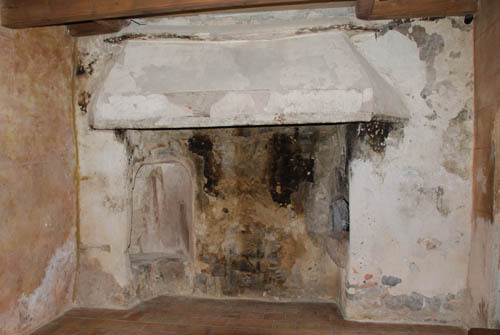 It has an Inglenook on one side and an oven on the other. 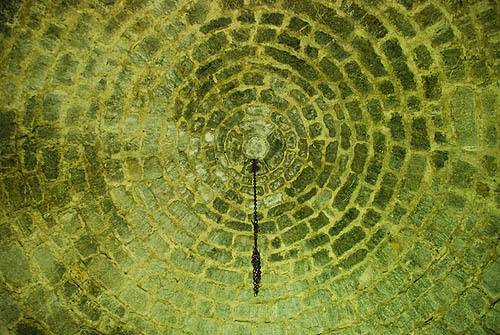 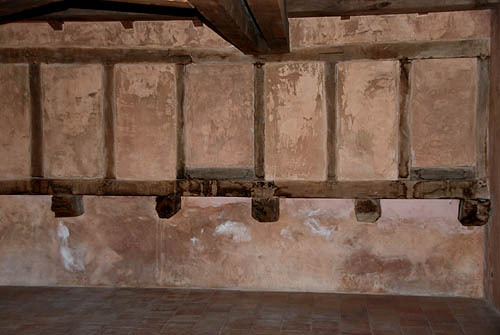 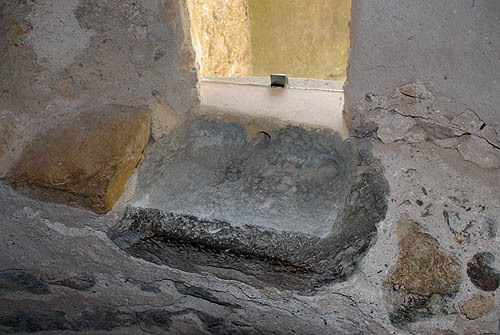 This is very basic - you can just see the overflow drain..
the height of fashion in the High Middle ages. 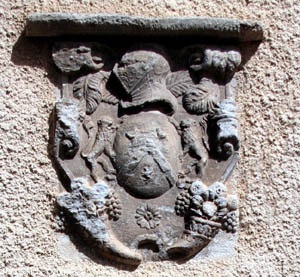 The arms are those of the owner - the then Archbishop of Narbonne. 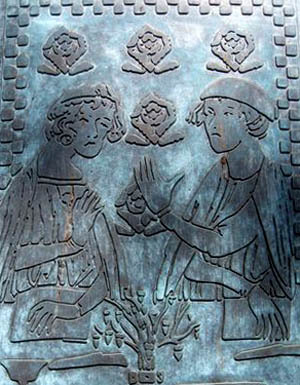 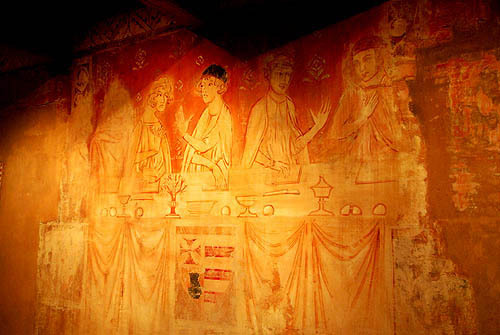 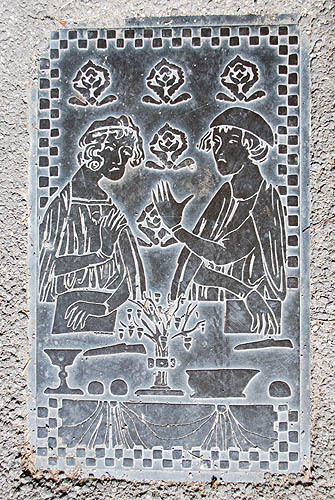 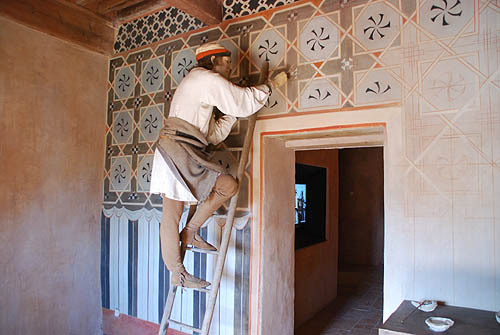 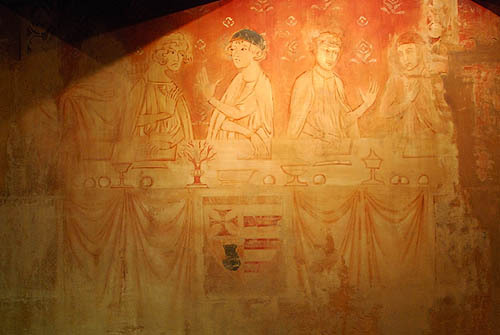 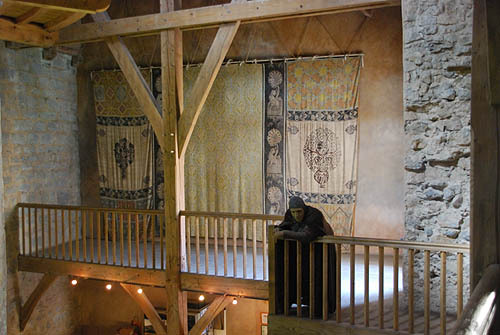 The style is typical of the period, and can still be seen in local churches in the Corbieres. 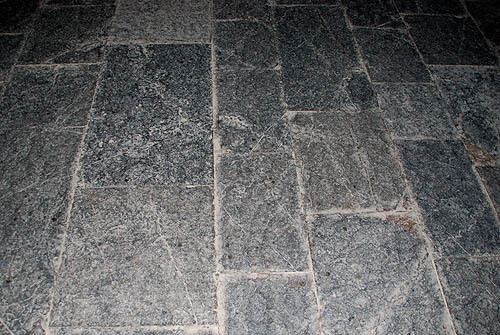 with minimal trimming to get rows of the same width. 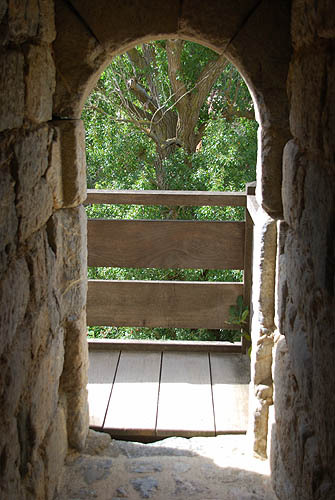 The wooden structure is a wooden staircase up to the postern gate, partially obscured by shrubbery. 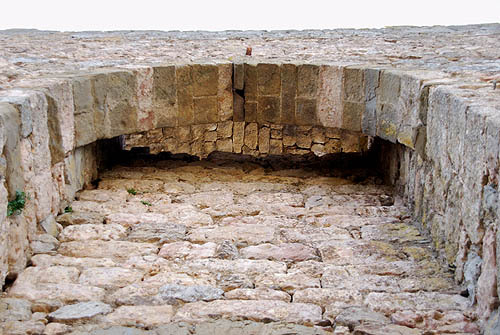 It would have been defended by a brattice (brettech) the vestiges of which can be seen directly above. 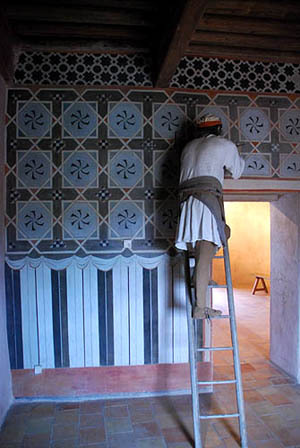 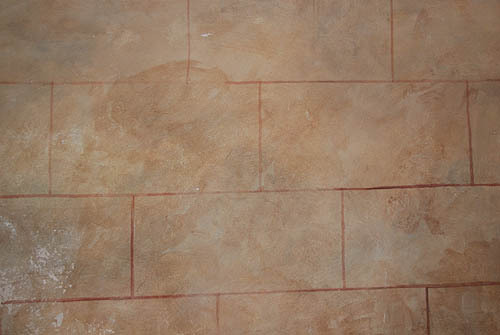 Also vestiges of a painted wall. 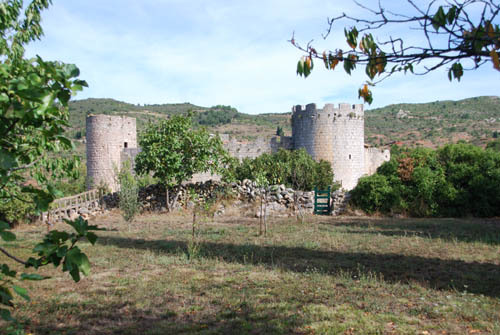 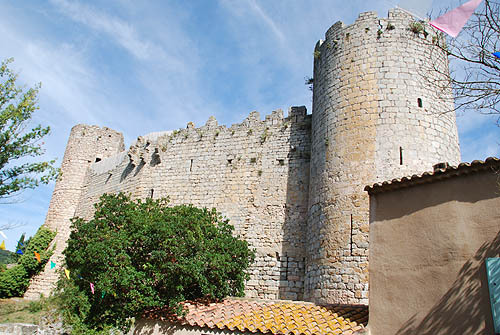 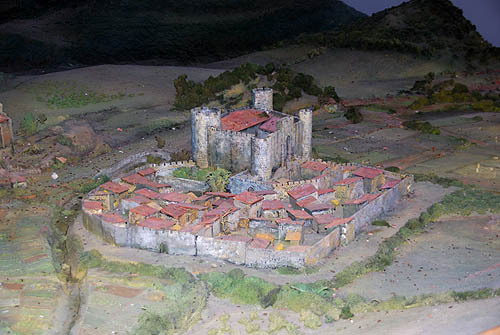 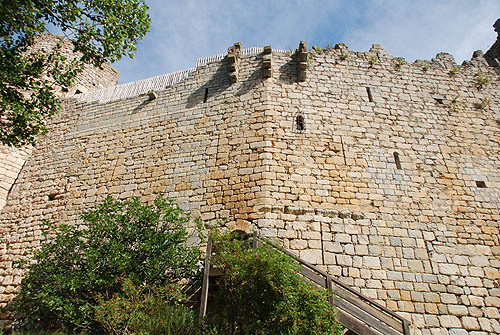 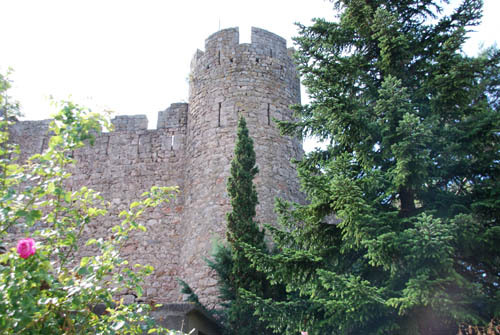 As in most cases, the castle is a second defensive structure - the village itself is fortified.